The HPVs are a family of DNA viruses with more than 150 genotypes. More than 40 of these genotypes infect the anogenital tract, causing a range of diseases from genital wart to invasive cancers. 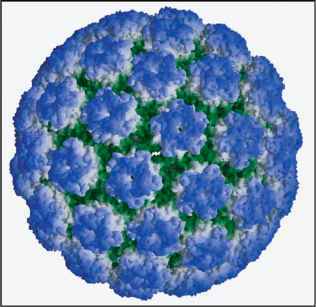 Certain types are considered more carcinogenic in humans; HPV-16 and HPV-18 probably are the most carcinogenic types. Integration of HPV DNA into a host genome has been hypothesized to play an important role in the carcinogenesis of HPV-related carcinomas. It is postulated that HSILs might originate from mild dysplasia or arise directly from infection by HR-HPV. 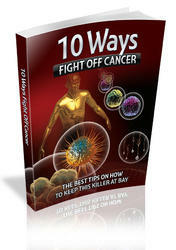 There are three different oncoproteins encoded from the E5, E6, and E7 viral genes. E5 protein is not expressed in cervical cancer. High-grade squamous intraepithelial lesions are usually monoclonal and harbor HR-HPV genotypes in 90% of cases, with high expression of viral oncoproteins E6 and E7. Together, E6 and E7 are responsible for the induction as well as the maintenance of the transformed phenotype of cervical cancer cells by binding with multiple cellular targets (2). Although HPV certainly has many actions in the infected cells, two of the major effects are on two tumor suppressor genes, p53 and Retinoblastoma (Rb). p53 is an housekeeping gene able to recognize when DNA damage has occurred in a cell, arresting that cell in G1 phase of the cell cycle to allow for DNA repair or, if repair is not possible, to lead that cell into cell death. Although mutation or deletion of the p53 gene is one of the most common genetic abnormalities in malignancies, p53 mutations in cervical cancer are rare (3). Instead, E6 binds with (through the 100-kd "E6-associated" cellular protein [E6-AP]), and inactivates p53 causing its degradation through the ubiq-uitin system (4). The inactivation of p53 by HPV E6 oncoprotein also leads to the upreg-ulation of cyclin B (5), which regulates transition from G2 to M phase. The retinoblastoma tumor-suppressor protein pRb and its related pocket proteins pRb2/p130 and p107 (6), regulate the cell cycle at the G1/S restriction point by complex-ing with and inhibiting the activity of E2F, which serves as a transcription-dependent promoter of cell cycle progression. In the presence of HPV oncoprotein E7, the E2F-pRb complex dissociates activating E2F, which initiates the transcription of genes required for DNA replication and thus inappropriately forcing the cell past the G1/S point into S phase (7,8). Therefore, the deregulation of pRb leads to an increased transcription of cyclin E by E2F. The functional inactivation of pRb by HPV E7 also results in the reciprocal overexpression of p16, because of a negative feedback-loop between pRb (see "p16 and Ki-67"). In combination, the E6/p53 and E7/pRb interactions seem to compromise the accuracy of mitosis. In addition, HPV E6 can activate the telomere-lengthening enzyme telomerase independent of p53 binding, and E7 can induce abnormal centrosome duplication through a mechanism independent of inactivation of pRb and its family members. These latter properties may also contribute to the transforming characteristics of these viral oncoproteins.